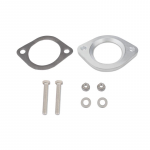 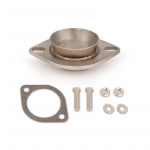 Cutting of your stock exhaust system is required to install this product. 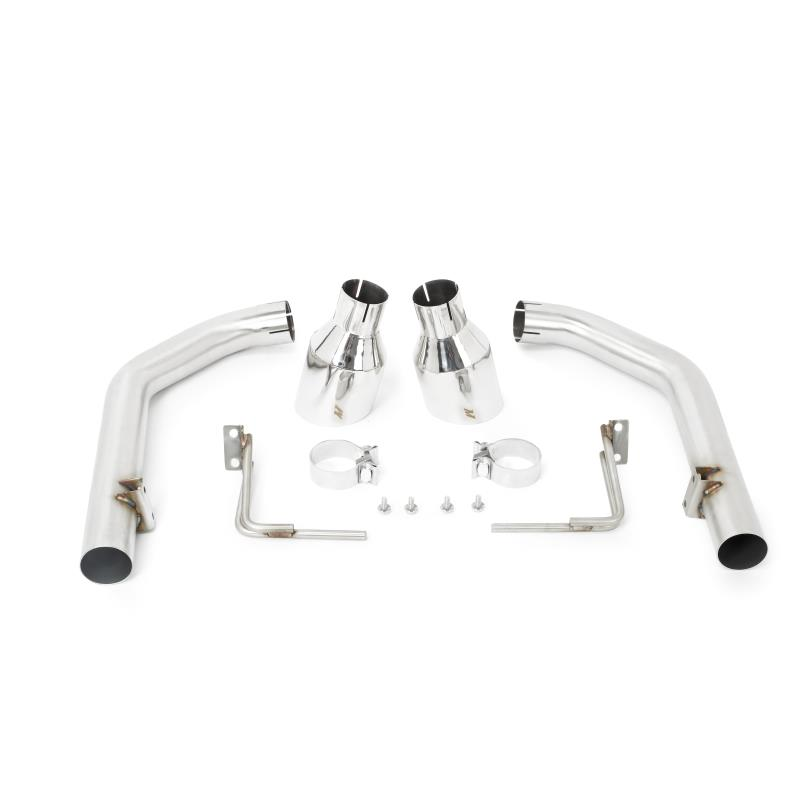 Please note the install guide provided includes instructions for correctly measuring, marking, and cutting the stock exhaust pipes. 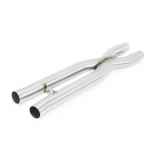 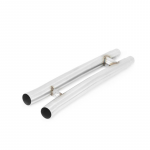 This system completely removes the rear mufflers and provides the absolute maximum in exhaust tone. 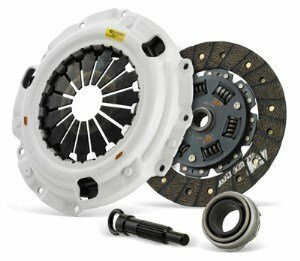 Part throttle and highway drone may be too excessive for many customers. 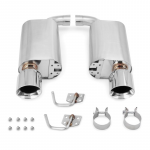 Removing the rear mufflers may be illegal in some states and municipalities. 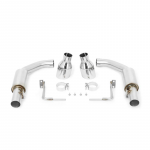 Combining with the Mishimoto X or H pipe will completely remove all sound suppression devices from the exhaust system, this type of setup is not recommended for use on the street.